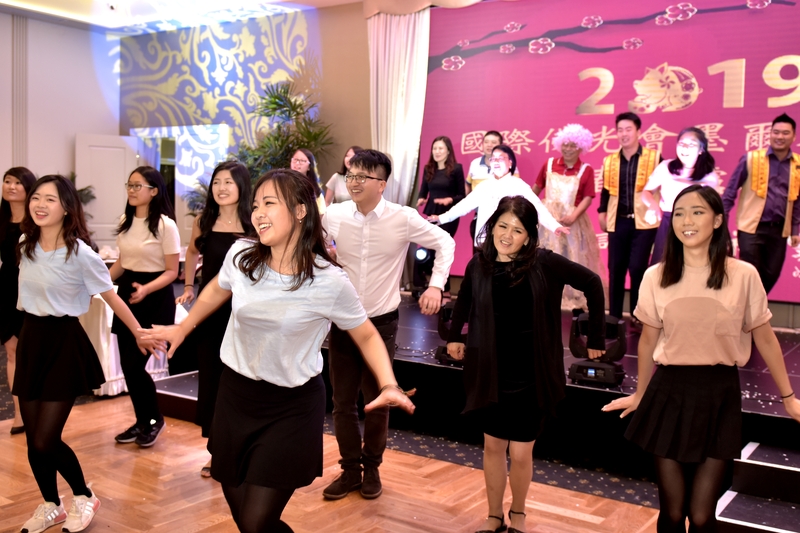 On the 19th January, 2019, FGS Melbourne and BLIA VIC organized the Hot Pot session for the lunar new year at the Happy Reception. 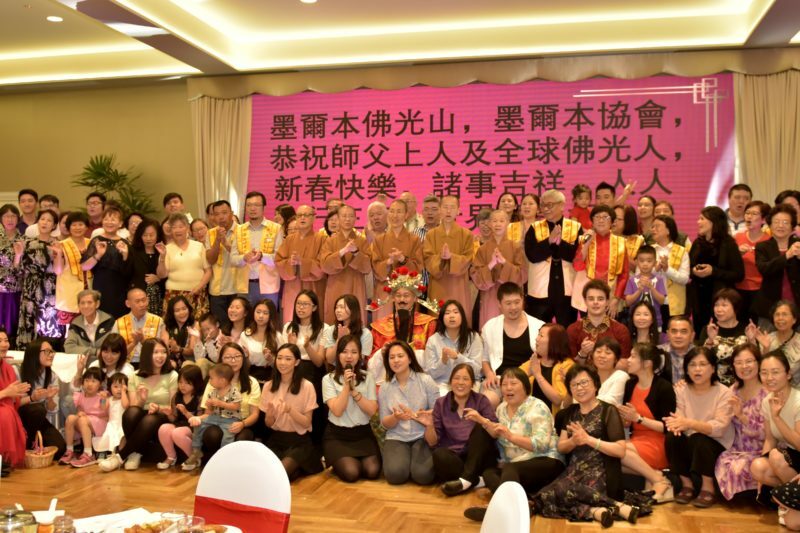 The event was attended by 270 people with Superintendent Venerable Man Wang from the Nan Tien temple, venerable from FGS Melbourne and Er You temple, BLIA World Headquarters Directors Dominique Yu, BLIAV’s President David Yu, Chief Elder Adviser James Yang, cadre and together with family and friends had hot pot session together looking over the past year and welcoming the lunar new year! 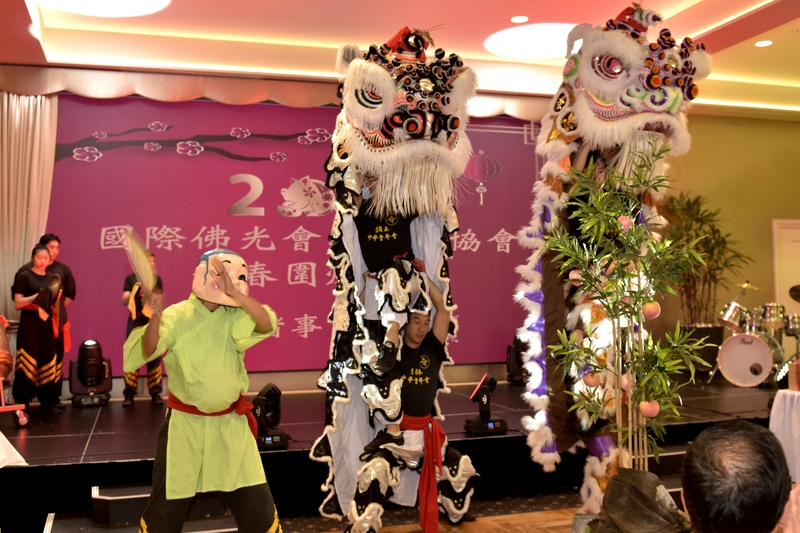 The event is kicked off with the lion dance presented by the Melbourne Youth Association (CYSM). 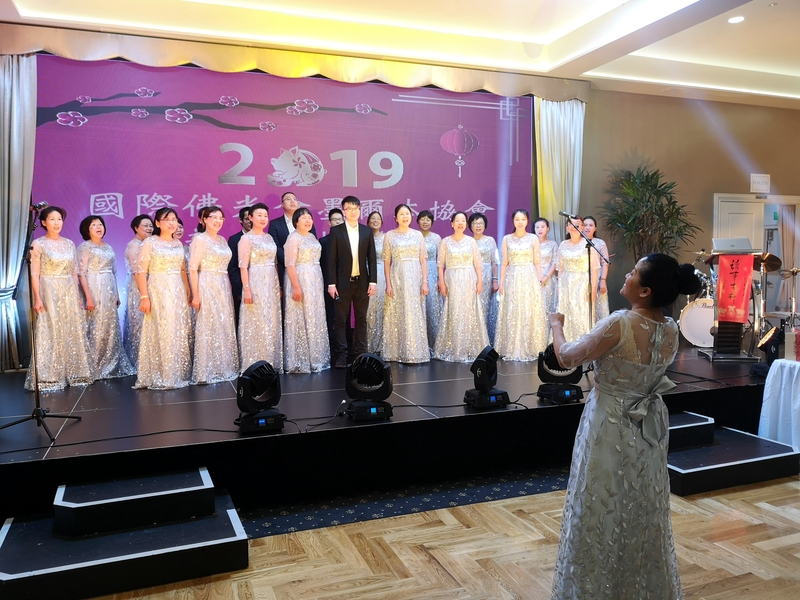 BLIAV’s President David Yu welcome the spring New Year with everyone followed by announcing the achievement of past year including winning the award of 2018 Victoria’s Multicultural Awards for Excellence Award, 2018 International Member Promoting Cultural Award. 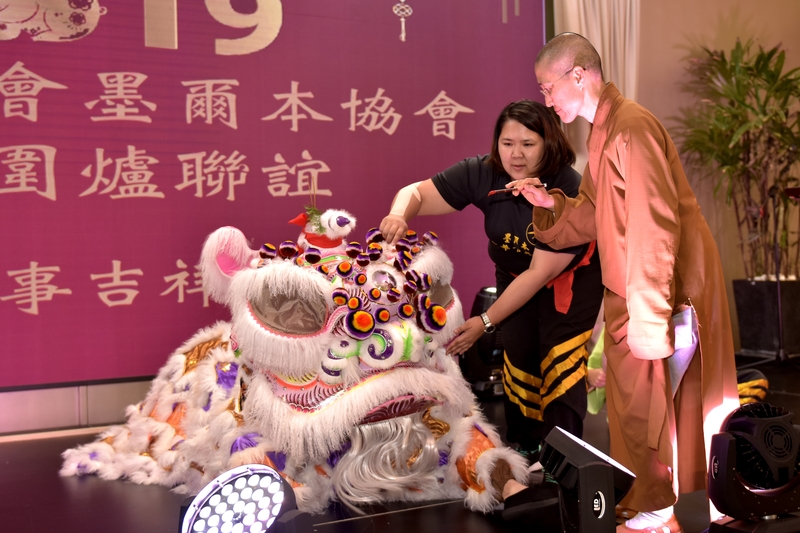 He looks forward to 2019 to promote activities with the “Faith and Lineage” values and he encourages everyone to participate in the coming years event from lectures, children’s Buddhism class, Buddha’s day, Nan Tien Water and Land Dharma service and more events. Venerable Man Wang represented Vice Secretary of World Headquarter Oceania Region Man Ko for the speech. Venerable highlighted where Fo Guang Shan is known for “upright and honest”, being able to share “happiness” with the greatest capability which is “integrity”. Buddha’s dharma teaches us to live with integrity and joy, everyone can practice this as this is mentioned in the Diamond Sutra where [ no notion of self, no notion of person, no notion of sentient being, and no notion of living being]. This teaches us to let go of oneself to integrate with others. Besides that, venerable explained the word “Melbourne” being translated from Mandarin. Melbourne is represented with three words in Mandarin, “Me” is read as “Mò” which represents a treasure for the culture, the heritage and the wisdom. The second word “l” as “ěr” means what you have and what I have is in everyone’s monastery. The last word “bourne” is read as “Běn” which means the source also the root. Those three words represent we are a family with affinity integrating with everyone coming together using our culture. We must always remember and appreciate where we come from where faith is our foundation. As long as our faith is strong, we will have strength. 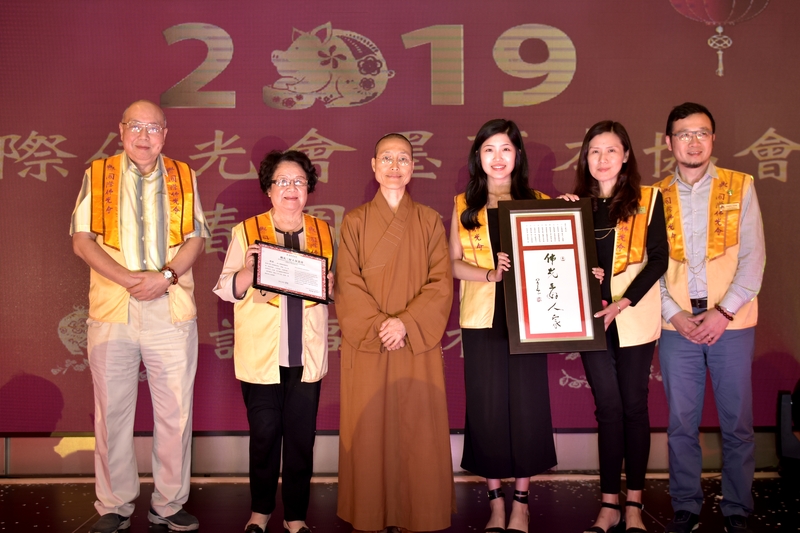 With the pleasure of having everyone in the hall and honor inviting Venerable Man Wang with 6 other people the “Three acts of goodness family” award is presented with calligraphy and certificates to thank the family for their support and care to the temple and BLIA. 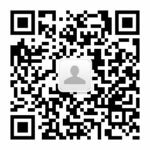 Everyone is encouraged to join the “Three acts of goodness family”. We have a variety of performance for the night. 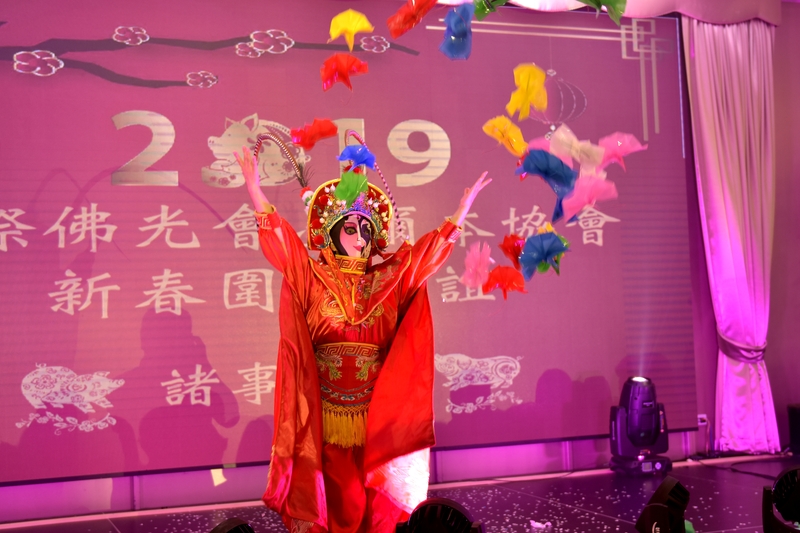 This is started with presenting the song “Three Act of Goodness” and “Gratitude” from the Melbourne singing group, followed by the “Changing Mask” event, street dance and magic performance. Next, the Fo Guang opera group presented two songs, “Giving is a strength” and “Without Hesitation” ; then, the Melbourne Youth Society also presented a lively dance which represented the youth always being lively and beaming with light, giving the floor another climax moment of the night. Towards the end of the evening, Venerable Man Wang led other venerables, director, president and supervisor ended the night by firstly wishing Master Hsing Yun followed by well wishes to everyone starting the spring new year. The night ended perfectly with everyone singing the song “Gong Xi, Gong Xi” !